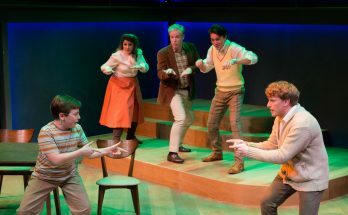 This week’s best: the starry “Our Town” benefit at the Fox on Monday; the Alliance’s “Hand to God”; GET’s “Morningside.” Ahead: “Cardboard Piano” (Actor’s Express); Home Brew Fest (7 Stages). Pictured: Ben Thorpe (and his ungodly puppet Tyrone) in “Hand to God.” Photo by Greg Mooney. ** Indicates an Encore Atlanta fall/winter season top pick. 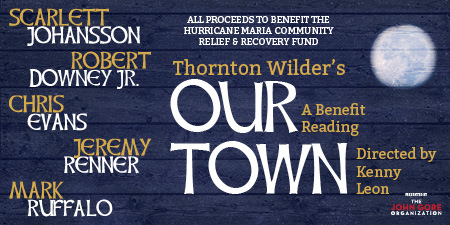 Our Town: A Benefit Reading. MONDAY ONLY. Robert Downey Jr., Chris Evans, Scarlett Johansson, Jeremy Renner and Mark Ruffalo headline a staged reading of Thornton Wilder’s 1938 classic, directed by True Colors Theatre Company’s Kenny Leon. The event was organized by Johansson, a Tony Award winner for the 2010 revival of Arthur Miller’s A View From the Bridge. All proceeds go to the Hurricane Maria Community Relief & Recovery Fund and will be used to support immediate relief, recovery and equitable rebuilding in Puerto Rico. 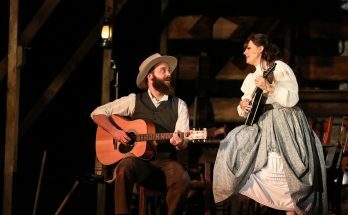 Our Town, set in the mythical village of Grover’s Corners, N.H., looks at small-town life in early 20th-century America and the universal experiences of being alive, falling in love and facing death. $85.50-$195.50. 8:30 p.m. Fox Theatre, 660 Peachtree St. NE. Details, tickets HERE or at 855.285.8499. Dogs of Rwanda. THROUGH NOV. 18. A National New Play Network rolling world premiere from Out of Hand Theater. Sean Christopher Lewis’ drama begins in 1994 and ends in 2014. Its only character is a 16-year-old boy on a mission trip who stumbles into the nation’s ongoing genocide. Twenty years later, a letter arrives from a boy he tried to save. Performed by Out of Hand’s Adam Fristoe in living rooms and other intimate spaces in metro Atlanta and beyond. Note: The venue address for the performance you choose will be emailed 24 hours before the show. $30. Most performances are on Friday-Saturday nights. Details, tickets HERE. Want to host a performance? Details at PoshDealz.com. ** Hand to God. THROUGH NOV. 12. 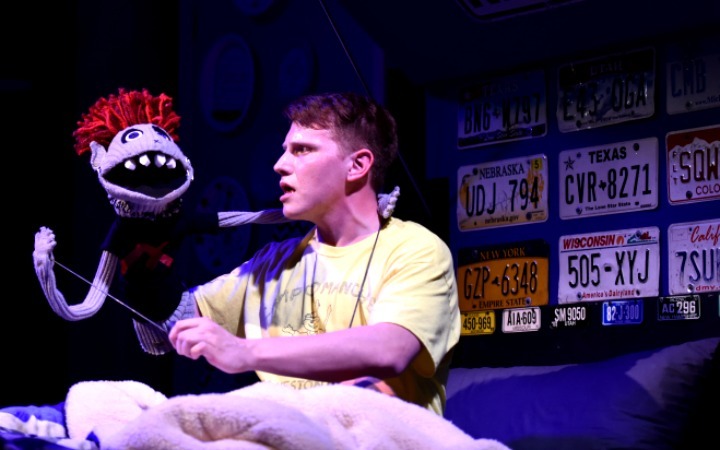 The Alliance Theatre stages Robert Askins’ irreverent Tony-nominated puppet comedy, last season’s favorite play among American regional theaters. 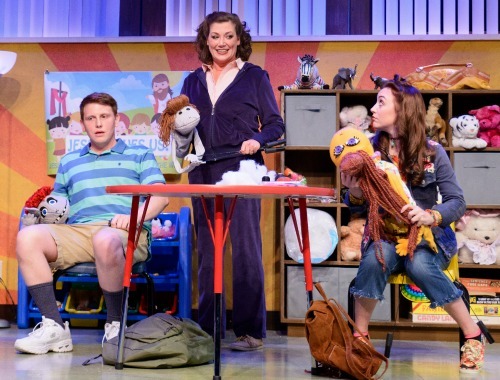 Hand to God details a puppet ministry that goes very, very wrong, and explores the fragile nature of faith, morality and the ties that bind us. The New York Times called it “darkly delightful.” Recommended for age 16+ (strong language, sexual situations). $20-$42. 7:30 p.m. Tuesday-Friday; 2:30 + 7:30 p.m. Saturday-Sunday. Performed at Dad’s Garage Theatre Company (the Alliance’s home is under renovation), 569 Ezzard St. SE. Parking info HERE. Details, tickets HERE or at 404.733.5000. ** Morningside. THROUGH NOV. 12. A world premiere at Georgia Ensemble Theatre from Atlanta playwright Topher Payne (Greetings Friend Your Kind Assistance Is Required, The Only Light in Reno, Perfect Arrangement, Angry Fags). The comedy takes place on a sunny spring afternoon in Atlanta’s Morningside neighborhood when nine women with secrets are thrown together — at a baby shower — with a case of champagne. The cast: Lala Cochran, Kelly Criss, Kate Donadio, Keena Redding Hunt, Shelly McCook, Ellen McQueen, Stacy Melich, Gina Rickicki and Ann Wilson. $29-$53 plus fees. 8 p.m. Thursday-Saturday; 2:30 p.m. Sunday. Also at 4 p.m. Nov. 4 + 11. Roswell Cultural Arts Center, 950 Forrest St., Roswell. Details HERE, tickets HERE or at 770.641.1260. Discount tickets at PoshDealz.com. The Flying Dutchman. OPENS SATURDAY. 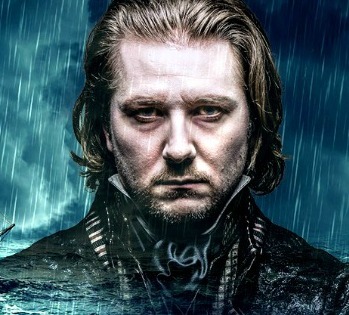 The Atlanta Opera continues its season with Wagner’s telling of a bit of nautical folklore. It recounts the love affair between a maiden and the cursed captain of a phantom ship. Directed by Tomer Zvulun, the opera’s general & artistic director, with Arthur Fagen conducting. Bass-baritone Wayne Tigges sings the title role, soprano Melody Moore sings Senta, and tenor Jay Hunter Morris sings Erik, a role he recently performed with the Metropolitan and Washington National operas. $35-$131 in advance. 8 p.m. Saturday; 7:30 p.m. Nov. 7, 8 p.m. Nov. 10 + 3 p.m. Nov. 12. Cobb Energy Performing Arts Centre, 2800 Cobb Galleria Parkway, Atlanta. Details, tickets HERE or at 404.881.8885. Mary Ruth Ralston (bottom, from left) and Sean Kelley. Adam King (top, from left) and Vinnie Mascola. Twelfth Night. PREVIEWS FRIDAY | OPENS SATURDAY. A shipwreck, separated identical twins, mistaken identities, romance, revenge and one pair of yellow stockings. 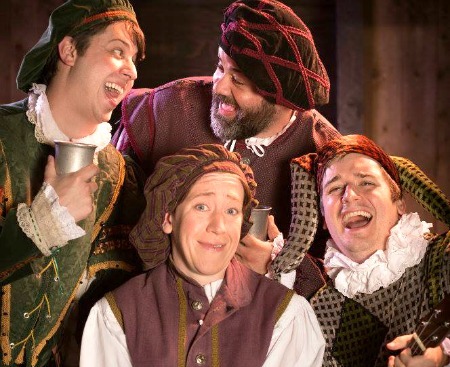 Welcome to Orsino’s court and the zany world of Twelfth Night at the Shakespeare Tavern Playhouse. Chris Hecke is Orsino. Pub menu and spirited beverages available. Preview $20; regularly $22-$45. Through Nov. 26. 7:30 p.m. Thursday-Saturday; 6:30 p.m. Sunday. 99 Peachtree St. NE (across from Emory University Hospital Midtown). Details, tickets HERE or at 404.874.5299. Discount gift cards at PoshDealz.com. Which is which? Chef Kevin Gillespie (right) channels Yukon Cornelius for a photo op on Nov. 11. Rudolph the Red-Nosed Reindeer. BEGINS NOV. 7. We’ve barely had frost on the pumpkins, and Thanksgiving is 15 days away, but the most famous reindeer of all returns to the Center for Puppetry Arts. The piece is adapted by artistic director Jon Ludwig from the classic 1964 Rankin-Bass special, which featured stop-motion animation. All our favorite characters return: Rudolph, Clarice, Sam the Snowman, Yukon Cornelius, Hermey the Elf, the Misfit Toys, the Bumble and, of course, Santa. 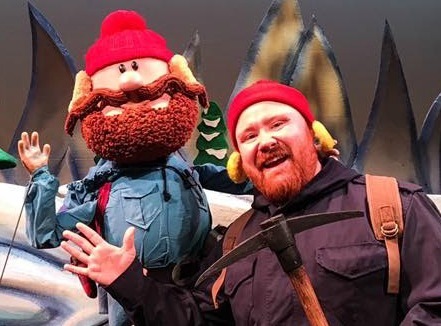 Several special events are planned, including a photo op with chef Kevin Gillespie, channeling Yukon Cornelius, on Nov. 11. For age 4 and up. 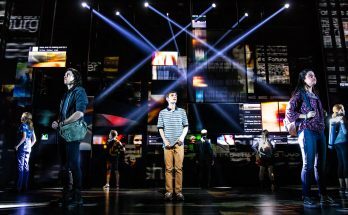 Previews Nov. 7-8 ($11.25). Regularly $11.25-$19.50. Through Dec. 31 (no shows on Thanksgiving or Christmas). Curtain is generally at 10 + 11:45 a.m. Tuesday-Friday; 11 a.m. + 1 p.m. Saturday; and 1 + 3 p.m. Sunday, but times vary through the holidays, so check ahead. 1404 Spring St. NW. Details, tickets HERE or at 404.873.3391. Atlanta Symphony Orchestra. TONIGHT + SATURDAY. German conductor Jun Märkl leads a program comprising Falla’s El amor brujo ballet, R. Strauss’ Burleske and Beethoven’s Symphony No. 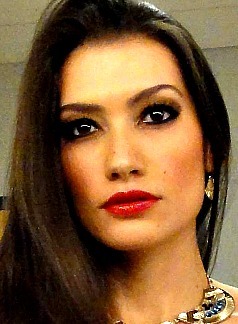 4, with Colombian-born soprano Catalina Cuervo and French pianist Bertrand Chamayou as guest artists. $22-$97. 8 nightly. Symphony Hall, Woodruff Arts Center, 1280 Peachtree St. NE. Details, tickets HERE or at 404.733.5000. Discount tickets at PoshDealz.com. The Rocky Horror Show. CLOSES SUNDAY. Out Front Theatre Company starts its second season with a reimagined Rocky Horror, perhaps the most popular cult musical ever. “Rocky Horror was edgy and groundbreaking in the ’70s,” says director Matthew Busch. “The biggest challenge we faced in staging it in 2017 was the question, ‘What makes this story need to be told again?’ We purposefully ‘gender-bent’ the transsexual aliens to continue the dialogue regarding gender and sexual identity.” $15-$25. 8 tonight-Saturday; 3 p.m. Sunday. Out Front is at 999 Brady Ave. Details, tickets HERE. The Sleepy Hollow Experience. CLOSES SUNDAY. 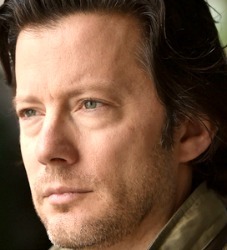 Serenbe Playhouse reprises its annual event with a new adaptation by artistic director Brian Clowdus. This year’s cast: Jennifer Alice Acker and Brandon Partrick as Storytellers, Blake Burgess as Brom Bones, Erin Burnett as Katrina Van Tassel and Chris Mayers as Ichabod Crane. Note: This is a traveling performance without seating, but chairs can be requested through the box office. $15-$40. 8 tonight; 8 + 10:30 p.m. Friday-Saturday; 8 p.m. Sunday. Performed in the Horseman’s Meadow at Serenbe. 10950 Hutchesons Ferry Road, Chattahoochee Hills. Details, tickets HERE or at 770.463.1110. Discount tickets at PoshDealz.com. 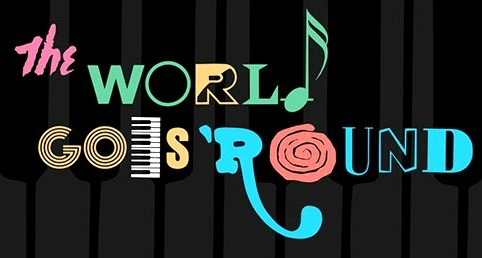 The World Goes ‘Round. CLOSES SUNDAY. Atlanta Lyric Theatre dips into the Kander-and-Ebb songbook with this musical revue built around five people who find themselves careering through the worlds of love, babies and coffee. The tunes come from the three-time Tony Award-winning team’s stage work (70, Girls, 70; The Act; Cabaret; Chicago; Flora the Red Menace; The Happy Time; Kiss of the Spider Woman; The Rink; Woman of the Year; Zorba) and the movies Funny Lady and New York, New York. $33-$58. 8 tonight-Friday; 2 + 8 p.m. Saturday; 2 p.m. Sunday. Jennie T. Anderson Theatre at the Cobb Civic Center, 548 S. Marietta Parkway, Marietta. Details, tickets HERE. Crossing Delancey. THROUGH NOV. 25. 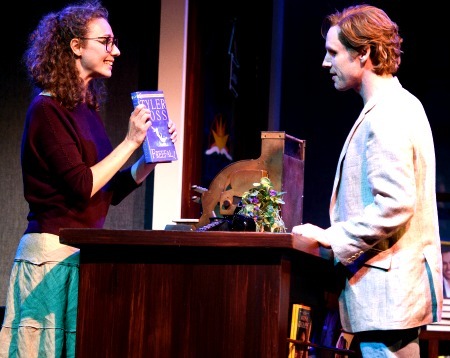 The Alliance Theatre stages the romantic comedy that inspired the 1988 movie of the same name. Bubbie (Mary Lynn Owen) is an 80-year-old Jewish grandmother determined to see granddaughter Izzy (Sochi Fried) marry the right man. Izzy has her eyes on an author (Daniel Thomas May); Bubbie zeroes in on Sam the pickle man (Andrew Benator). Who will prevail? $10-$70. 7:30 p.m. Tuesday-Thursday; 8 p.m. Friday; 2:30 + 8 p.m. Saturday; and 2:30 + 7:30 p.m. Sunday. Performed at the Marcus Jewish Community Center of Atlanta, 5342 Tilly Mill Road (the Alliance’s Midtown home is being renovated). Tickets, details HERE or at 404.733.5000. Atlanta Symphony Orchestra. NOV. 9 + 11. 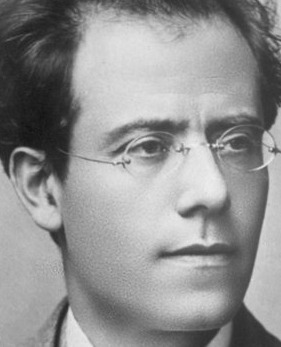 Fifty years ago, Austrian composer Gustav Mahler had all but been forgotten. Today, he has one of the largest and most enthusiastic followings in classical music. Music director Robert Spano is on the podium for Mahler’s heart-pounding Symphony No. 7. Also planned: Schumann’s Cello Concerto with guest artist Steven Isserlis. $22-$107. 8 nightly. Symphony Hall, Woodruff Arts Center, 1280 Peachtree St. NE. Details, tickets HERE or at 404.733.5000. ** Cardboard Piano. NOV. 11-DEC. 3. New Year’s Eve, 1999. In a remote Ugandan village, two girls — one is a local villager, the other the daughter of American missionaries — sneak into a church to hold a makeshift wedding for themselves. A boy soldier on the run interrupts, sparking a chain of events that changes their lives forever. The script is by Hansol Jung. Kennesaw State’s Karen Robinson directs an enviable cast comprising Ashley Anderson (Ada and the Memory Engine, Fancy Nancy the Musical, Alice Between), Isake Akanke (Eclipsed), Stephen Ruffin (Too Heavy for Your Pocket, Beyond Reasonable Doubt) and Rob Demery (Too Heavy for Your Pocket, Fetch Clay Make Man). $28-$37 (subject to change). 8 p.m. Wednesday-Saturday; 2 p.m. Sunday. At the King Plow Arts Center, 887 West Marietta St. NW. Details, tickets HERE or at 404.607.7469. Discount tickets at PoshDealz.com. Home Brew participants (clockwise, from top left): playwright/actor Mark Kendall, director Rachel Parish, playwright Theroun Patterson and director Pam Joyce. Home Brew Festival. NOV. 9-18. 7 Stages is calling this the “coolest theater event of the year,” and that may prove to be true. The company has retooled its new-play reading series from an occasional event to seven readings and talkbacks over 10 days. The lineup: Mark Kendall’s Black History Hour (Nov. 9); Theroun Patterson’s Red Summer (Nov. 10); Daryl Fazio’s Deer Play (Nov. 11); Rachel Parish presents Revolt. She Said. Revolt Again by British playwright Alice Birch (Nov. 16); and Pam Joyce presents Art of Gaman by Dipika Guha (Nov. 17). Those readings begin at 8 p.m. On Nov. 18, the day begins with an 11:30 brunch discussion on “The Art of Activism.” The readings: Topher Payne’s Angry Fags (2 p.m.) and Theresa Davis’ Then They Tell You It’s All in Your Head (8 p.m.). All events are free. Reservations required HERE. 7 Stages is at 1105 Euclid Ave. NE. 404.523.7647. Stripped Bare. NOV. 13-14. Synchronicity Theatre’s newish arts incubator project presents Inch by Inch by Atlanta artist Rachel Graf Evans. It tells the story of Bridget and Wyn, a couple who returns to Bridget’s hometown for her mother’s funeral. When Bridget learns that she’s inherited the house and vegetable garden, she must reconcile her fears about family and identity before the garden will let her go. Stripped Bare projects emphasize words and ideas with minimal technical elements. Thus, “stripped bare.” Free, reservations requested. 7:30 nightly. Synchronicity is in the Peachtree Pointe building, 1545 Peachtree St. NE. Details, tickets HERE. Info at 404.484.8636. Previous Article WANT FIT FOR THE HOLIDAYS? Kathy Janich is a longtime arts journalist who has been seeing, working in or writing about the performing arts for most of her life. She's a member of the Theatre Communications Group, the Literary Managers and Dramaturgs of the Americas, Americans for the Arts and the National Arts Marketing Project. Full disclosure: She’s also an artistic associate at Synchronicity Theatre.